From outdoor adventures to afternoon tea, Vancouver Island is a great Pacific Northwestern getaway for the active and cultured family. Vancouver Island, located in southwestern British Columbia, just north of Washington State’s Olympic Peninsula, is the largest island off the west coast of North America. It also boasts one of the world’s most diverse ecosystems, with rainforests, marshes, forests, beaches, mountains, rivers and lakes that are all home to a huge array of wildlife. 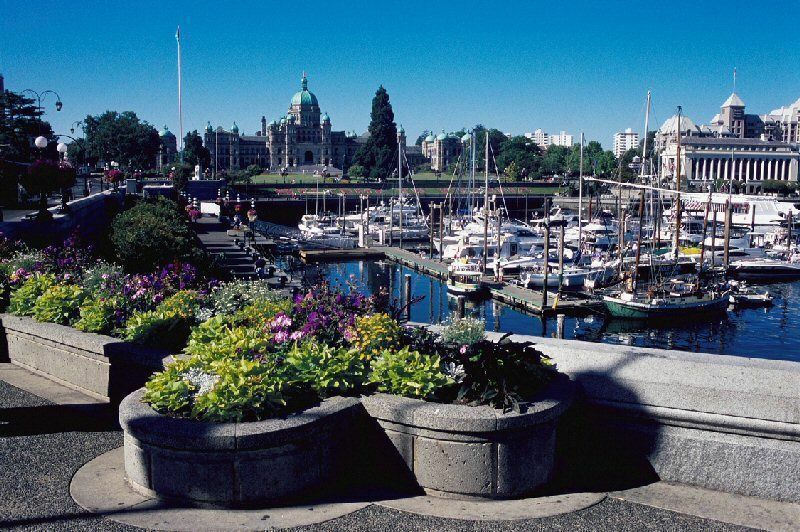 Relatively sparsely populated, the island has numerous opportunities for outdoor adventure in its parks and reserves, but it also has some cosmopolitan cred with the city of Victoria, the capital city of British Columbia. 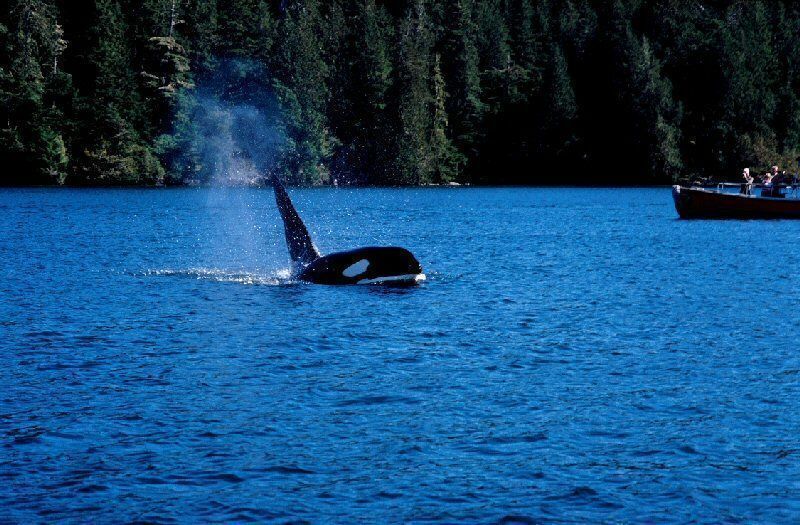 Whether you feel like whale-watching, sea-kayaking, or having afternoon tea in the British-influenced Victoria, Vancouver Island promises relaxation and a huge amount of spectacular wilderness. There are lots of ways to get to Vancouver Island: you can fly, but an easier way is to take one of the numerous ferries from the mainland. Year-round, ferries run from Vancouver to Nanaimo and Victoria; and from Seattle, Port Angeles, and the San Juan Islands to Victoria. Just past Nanaimo, this market has great ice cream and baked foods, and carries international foods and gifts. It’s perfect for a lunch stop, and the kids will love the family of goats that graze on the grassy roof of the market. 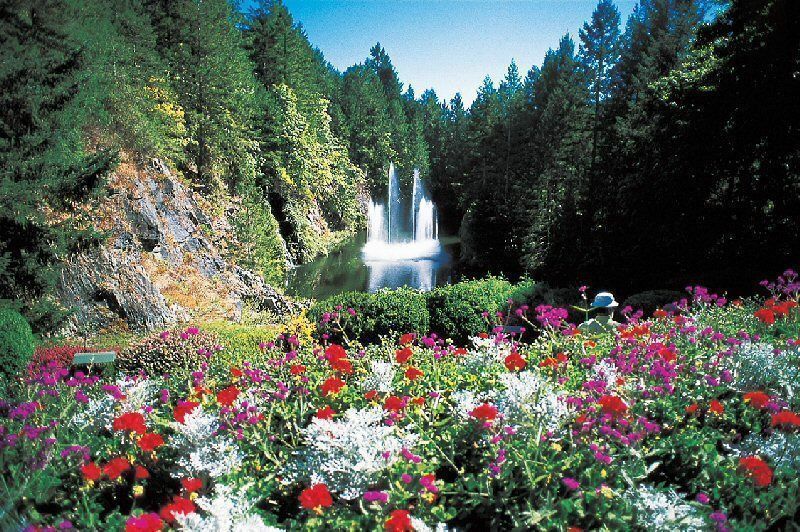 Just five minutes from Butchart Gardens (see below), the Butterfly Gardens were designed to showcase the lifestyle of tropical butterflies — from caterpillar to cocoon to colorful butterfly. Besides the 3000 free-flying butterflies in the air, there are also tropical ducks, flamingos, and tropical fish in the enclosed garden, which also contains various species of orchids and carnivorous plants. Learn all about the human and natural history of British Columbia with permanent and temporary exhibits and dioramas. You can see First Nation totem poles and masks, Wooly Mammoth dioramas, stroll through a model of the old town Victoria, and look through the viewfinder of a Victorian era submarine at the Ocean Station. Right now at the museum is an exhibit called “Behind the Scenes,” where you can get a look at what the museum works on when no one else is looking. There is even an AmusEum—a special exploration zone just for little kids. Located south of Parksville, the NIWRC is a non-profit organization that cares for the wildlife of Vancouver Island and aims to educate the public about the wildlife. From March until December, you can visit the Museum of Nature, with hands-on exhibits, an Eagle Flight cage, and a nature walk through a waterfall. Guided tours of the museum are available, and the Wildlife Center offers live animal presentations. 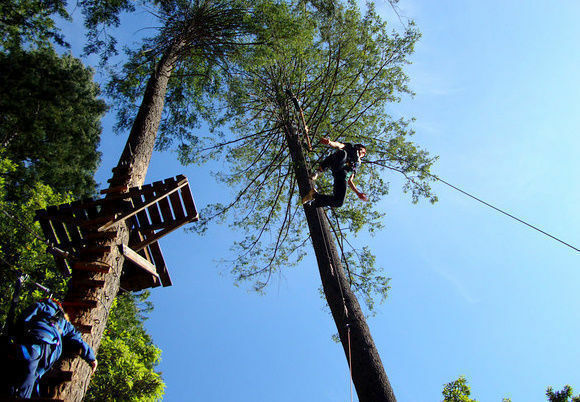 Located in Nanaimo, the second largest city on Vancouver Island, the Wildplay Element Park provides an adventure high above the ground that kids (who don’t have a great fear of heights) are sure to enjoy. The Monkido Aerial Adventure is essentially a large obstacle course set 10 to 50 feet off the ground. 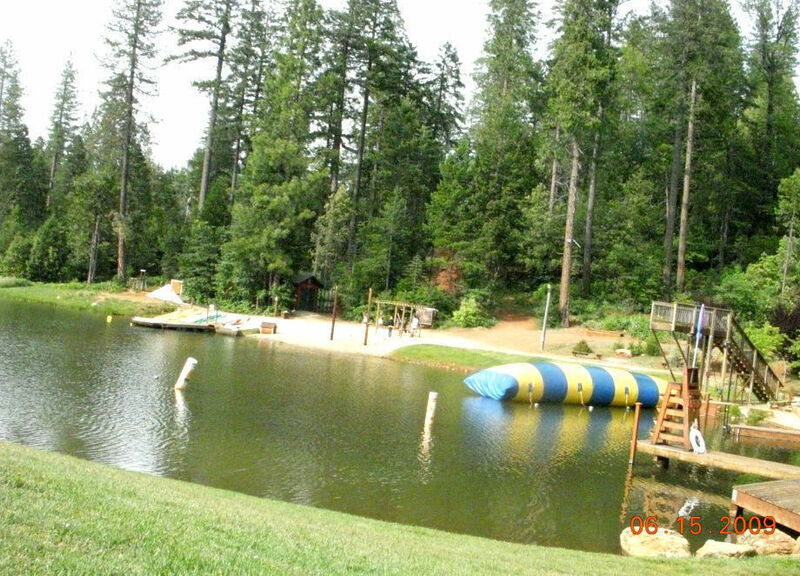 The various obstacles are strung between trees in a beautiful Douglas fir forest, and include zip lines, suspended bridges, scramble nets and swinging logs. Both full courses and kids’ courses are available, but for parents who’d like to remain on the ground, paths wind below the courses so you can crane your neck and watch your kids climb around. The adventure begins with a half hour orientation. After that, you’ll be ready to harness into the self-managed system that the course uses, allowing you to move independently and safely through the different elements of the courses. 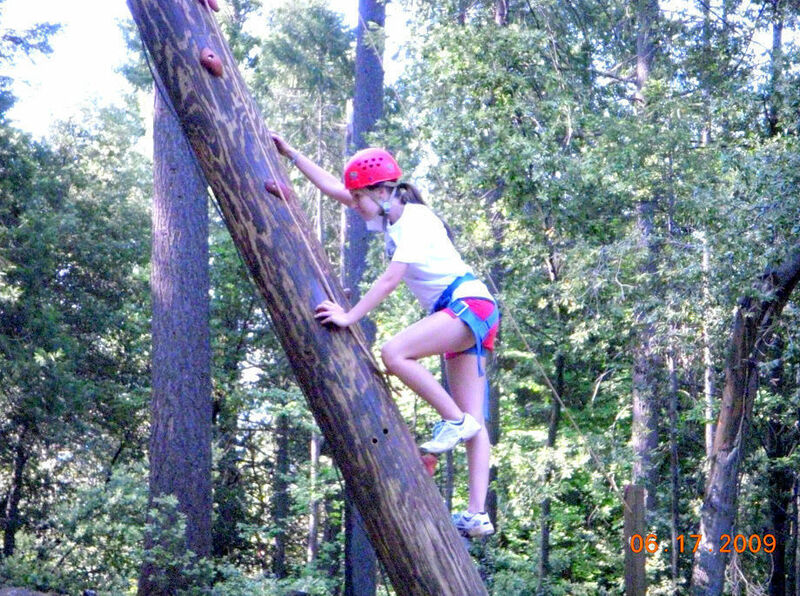 Perfect for kids who love to climb and scramble at the playground, the kids’ course will exercise the agility, endurance, and confidence of its participants. The full course, set higher off the ground, has four color-coded stages that progressively get harder. You can stop at each one and decide if you want to move forward or not. The age restrictions for the kids’ course are 7-13, and children who meet the height requirement must be able to complete the kids’ course before moving onto the full course. To overnight, see Best Hotels in Nanaimo. There is a second Wildplay Monkido location in Victoria (250/590-7529), with a similar kids’ course. 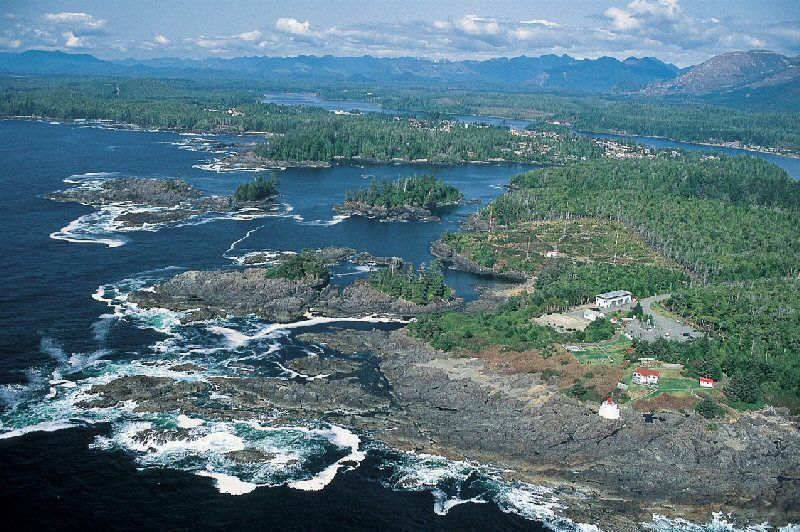 The small town of Ucluelet sits on the Pacific Ocean side of Vancouver Island. It’s home to great beaches for surfing, hiking in the Pacific Rim National Park Reserve, whale watching, and a small but charming aquarium where visitors can expect an up-close encounter with the local marine life, which ranges from giant pacific octopi to sea cucumbers. All of the animals on display are gathered in local waters close to the aquarium, and are released back into the wild after a period of time. Water from the harbor even flows directly through some tanks, keeping things interesting by allowing animals to find their way in and out of the displays. There’s a touch tank where kids can see how slimy the sea cucumbers and sea stars really are, and knowledgeable staff on hand to explain the displays in greater detail. Guided tours are also available but must be booked in advance. Offered through the Kingfisher Wilderness Adventures Company, based on Vancouver Island, this four-day kayaking trip will expose your family first-hand to the nature and wildlife of the island while still remaining low-key enough for kids. Designed for families with children ages 6 to 14, the trip leaves each day from an established base camp. You won’t exactly be in the lap of luxury, but for camping, it’s pretty lavish: 4-person tents with only 2 people per tent, sleeping pads, bags, and big pillows, a covered kitchen and dining area, and even a hot shower. A hydrophone is installed at the base camp so guests can listen to the orcas from the camp, and the guides have a portable version to take along while kayaking. The short daily paddles offer the opportunity to explore bays and spot wildlife—viewing Orcas from kayaks is a thrill kids won’t soon forget. When the excitement from the Orcas dies down, the local guides are also ready to help kids spot sea stars, urchins, seals, porpoises, and dolphins. No kayaking experience is necessary, and double and triple kayaks are used so kids won’t have to paddle alone. The trip finishes up with a visit to the whale interpretive center in Telegraph Cove, where kids can regain their land legs by checking out a 60-foot skeleton of a Fin whale. Custom tours are also available. One of the oldest summer vacation destinations on British Columbia’s coast, the quaint town of Qualicum Beach is filled with small shops, galleries, and cafes. The town also lives up to its name with one of the most picturesque beaches on the island. It’s recommended that you head to the beach when the tide is low, so you can fully enjoy the curving sandy beach and gentle waves. When the tide is high, you can stroll along a paved promenade that boasts picnic tables, trees for shade, and changing rooms. The town of Qualicum Beach is also next to the bustling Parksville, which boasts a scenic beachfront that in August plays host to the Canadian Sand Sculpting Competition. Parksville also has the Lion’s Venture Playground, a large playground with a water spray zone and massive jungle gym. One of Vancouver Island’s many provincial parks, MacMillan stands out because it’s home to the famous Cathedral Grove, where you can stroll through trails that lead past 800-year-old giant Douglas fir trees. The biggest tree measures over 9m in circumference! Once you’ve hiked around and seen the trees, you can head over to Cameron Lake, also in the park, for a swim. Vancouver Island is home to over 1000 caves, and at Horne Lake you can explore this underground world. Education-oriented family tours head into Riverbend Cave during the months of July and August. Guides will teach you about the geology and history of the cave while you view ancient fossils and unique crystal formations. The family tours only explore the larger and easier passageways, but longer tours are available for the more adventurous spelunkers. Whale watching is one of the main attractions on Vancouver Island, and Jamie’s Whaling Station is one of the many options for whale watching tours. Jamie’s has two locations, both on the west coast of Vancouver Island, touring Clayoquot Sound and Barkley Sound. Both offer two different boats for whale watching: small and fast zodiac boats as well as larger luxury cruisers. The zodiac boats provide a faster and more adventurous ride—you’ll sit outside on the boat with your protective orange suit on to keep you warm and dry, provided by Jamie’s. The luxury boats have heated indoor seating as well as a snack bar, and may be more convenient for smaller children. As for the whales themselves, most often spotted are Pacific Gray Whales but also around are humpbacks and orcas. Jamie’s also offers sea lion tours and bear watching tours. One of Victoria’s biggest attractions, Butchart Gardens is a National Historic Site of Canada, with 55 acres of gardens groomed by 50 full-time gardeners. Despite being a garden, Butchart Gardens is open year-round with displays for every season in a heated greenhouse. The outside gardens are best seen in spring and summer though, when eye-popping displays of plants, trees, and shrubs begin to flower. Just a small sampling of the many manicured garden areas include a rose garden with over 250 varieties of roses, a sunken garden in an old rock quarry, and a Japanese garden. In the summer months, there are fireworks displays on Saturday nights. Kids will especially enjoy the newly opened Children’s Pavilion and Rose Carousel, which contains the only carousel on Vancouver Island.